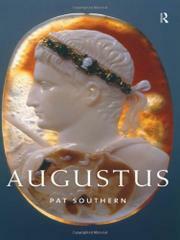 In this crisply written and well-researched biography, Southern (librarian at the University of Newcastle upon Tyne, England) presents Octavian/Augustus as an opportunistic genius whose creation of the Roman Empire was more a matter of pragmatic adaptation to circumstance than adherence to a master plan. Octavian, the sickly kinsman of Julius Caesar who became the dictator’s confidant and adopted son, was one of the truly great figures of history. Achieving power at the end of over a century of violent turbulence that saw repeated civil wars among warlords, he created a form of government that preserved the forms of the old republic while allowing him to exercise absolute power over the Roman apparatus of state. Southern shows that, once Octavian was catapulted into prominence, this result was no accident: his unique blend of self-control, common sense, tact, careful calculation, and ruthlessness allowed him to take advantage of the turmoil that enveloped the Roman world after the assassination of his benefactor in 44 b.c. Aged just 19 when elevated to the consulship in 43 b.c., he used his constitutionally exalted office to strengthen his position both against his manifest enemies, the assassins of Julius Caesar who were allied with the senatorial aristocracy, and against his ostensible allies and fellow triumvirate members Marc Antony and Lepidus. Southern details Augustus’s brief and sanguinary role in the battle on both fronts. Following his victories, Octavian consolidated both his power and his prestige: he assumed the elevated name Augustus in 27 b.c., built strong military frontiers, and, while avoiding the trappings of kingship, wielded immense power behind innocuously republican-sounding offices like consul and princeps (first citizen). By the time of his death in 14 a.d., the Roman Senate and people had, seemingly willingly, abandoned all pretensions to republicanism, and constituted an empire in name and in fact. A concise and thoughtful contribution to the literature of one of history’s great turning points.